Welcome to the Psalter Hymnal Resource Library, a growing collection of commentaries, sheet music, and audio and video recordings of the psalms and hymns in the 1959/1976 blue Psalter Hymnal. This prominent songbook of the Christian Reformed Church, still widely in use today by the United Reformed Churches in North America, gives a powerful voice to the grandeur of Reformed worship. Its texts reach back as far as the ancient Hebrew psalms, while its tunes span at least eight centuries. Here, in this URC Psalmody project, you can search our comprehensive tables of the Psalter Hymnal’s contents and browse through the myriads of links in our collections. You’ll find meditations on the psalms and their musical counterparts; you’ll find links to free and legal versions of the songbook’s texts and sheet music; you’ll be able to hear and watch real choirs and congregations—not computer-generated instruments—singing beautiful, heartfelt renditions of its psalms and hymns; and you’ll be able to access links to countless other related resources across the internet. Best of all, much of the content of the Psalter Hymnal Resource Library is user-supplied. Through our User Feedback page, anyone can broaden the scope of this project even further by sharing their own collections of Psalter Hymnal-related links. We encourage you to take full advantage of this library, and to contact us via the User Feedback page if you have any questions or comments. It’s our hope that this humble library will in some way serve the church of Christ. If you’d like to learn more about how the Psalter Hymnal Resource Library is set up, or if you’d like a guide for digging deeper into our catacombs, visit our Welcome page for a quick walk-through of our virtual facilities. Jump right into the action and start browsing through the songs in the Psalter Hymnal. For your convenience we’ve divided the master table into five separate pages, listed below. Believe it or not, complete albums of Psalter Hymnal songs do exist and are usually quite available online or on CD, often through the work of URC Psalmody! 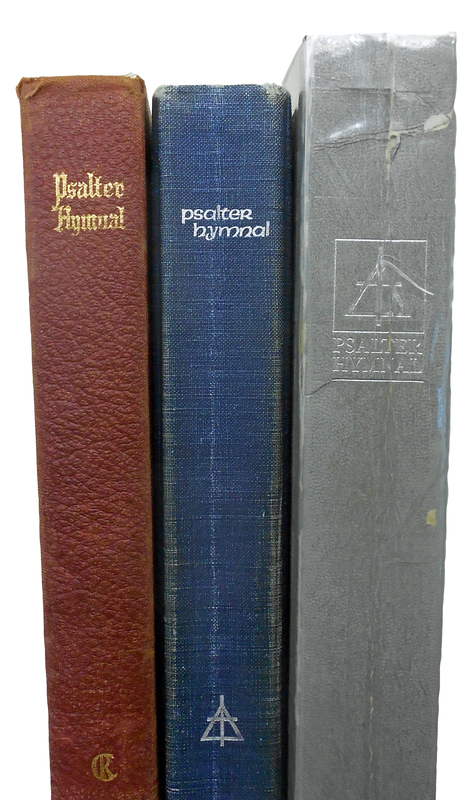 Visit our Psalter Hymnal Albums section to learn more. If you’re looking for something beyond the contents of the tables, peruse our Resources section for dozens of links to everything remotely related to the Psalter Hymnal. We want to hear from you! Share your questions, comments, suggestions for improvement, and additional Psalter Hymnal resources here on the User Feedback page. With such a large database to manage, there’s bound to be some broken links and other errors somewhere in the library. If you’re having trouble accessing the items in the Psalter Hymnal Resource Library, stop by the Technical Log to check our list of known issues.